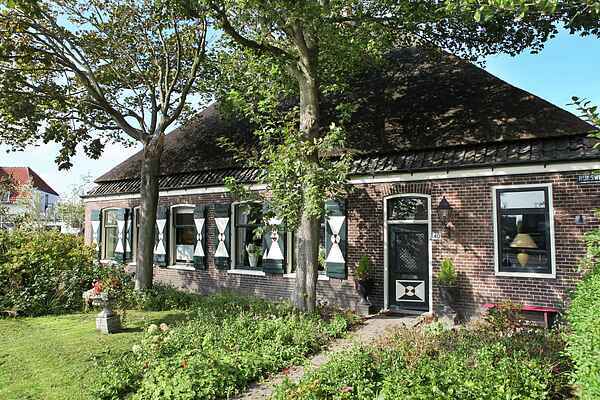 Beautiful historic farmhouse in the North Holland village of Sint Martensvlotbrug, very near the beach and the sea. The former farmhouse is authentically and charmingly furnished and exudes a true Old Holland atmosphere. The residence is in a very good location less than 2 km from the sea and beach and dune region. There are many options for cycling, boating, beach walks in the immediate vicinity, and the residence is located on the edge of a beautiful wild forest where you can enjoy walks and there are also beautiful bulb fields in the area. A bit further away, you can't miss a visit to the village of Schagen or the cheese market in Alkmaar. You can also take fun trips to the Zaanse Schans and Volendam, and you cant forget a visit to Amsterdam, only 40 km away.